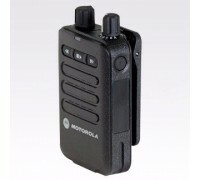 MINITOR 6™ 2 tone voice pager is ideal for fire departments and other organizations that need to act quickly in times of emergency. With 16 minutes of voice recording, customizable alerts and improved receiver design, the MINITOR 6 is flexible, rugged and reliable. It's built for the needs of first responders. Stands up to Accelerated Life Testing that simulates 5 years of field use. Available in an intrinsically safe version for use in areas with flammable gases and vapors.